Today is my birthday, and I face the same problem I do every year: Which bottles to pop open and celebrate with. 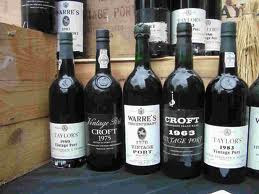 I was born in 1977, which means I always have the option of opening a bottle of Port from that legendary vintage. Right about now, the 77s are at their peak, and drinking exactly the way I prefer: Delicate, subtle, complex, and astoundingly long on the finish. But that’s dessert, with a nice side of cheese. For the rest of the evening--or, let’s be honest here: It’s my birthday, and I plan on starting with lunchtime wine pairings--I’m still not certain what to treat myself to today. Definitely some Champagne--and if there’s ever a day to justify Krug, this is it. Plus, it’ll go brilliantly with whatever I have for lunch. Then I’ll likely move onto a big California cabernet--it’s raining outside, it’s chilly, and few things are better for the soul on a day like this than a glass or three of dramatic Cali cab. After that, who knows. There are some older bottles in the cellar, but most of them aren’t quite ready. I think my best bet is to pop open a bottle from each of the wine regions I’ve visited in the past year--some Sherry, a bubbly or a pinot from Patagonia, some San Juan malbec followed by a bigger bottle from Mendoza. As you know if you’ve been watching the news, New Zealand was hit by a huge earthquake Tuesday that has caused severe damage and loss of life in the Christchurch area. There’s been precious little good news coming out of the country, though thankfully, at least, the wine industry hasn’t been terribly impacted by it directly. 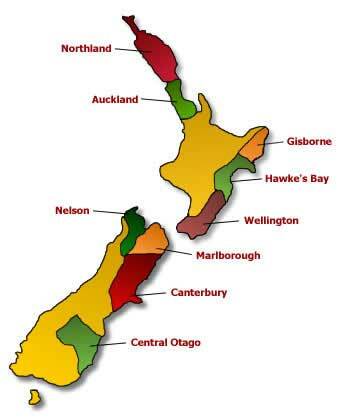 Decanter.com reported that “A 6.3 magnitude earthquake hit at 12.51pm local time but wineries are reporting little damage, with the epicentre to the east of the city in Lyttelton, rather than in the wine growing areas west of Christchurch.” The full article is linked up right here. And personally, I’ll be buying some New Zealand wine as a show of support for the country following the disaster, just like I did after the earthquake in Chile last year. It’s not much, of course, but every little bit helps. For all the exponentially growing popularity of wine, one topic still doesn’t receive the attention it deserves: The increasing importance of women in the industry. 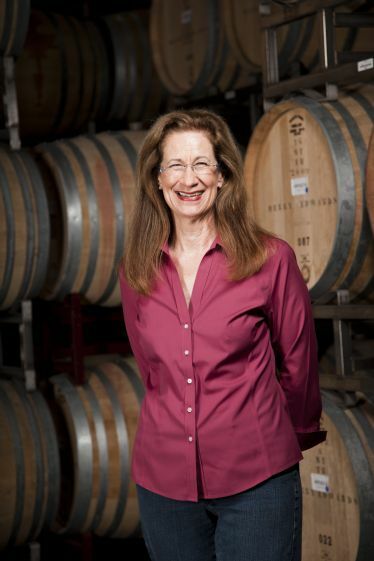 From winemakers to vineyard managers to owners of huge corporations that produce and market wine, women are making a serious mark on an industry that for too long a time was generally the provenance of men. An article in yesterday’s Vancouver Sun, while it focuses specifically on Canadian women in the business, highlights the overall importance of women to the wine world as a whole. Take a look at the complete article right here, and then, maybe, pop the cork on a bottle of wine produced by, say, Merry Edwards (above), or any of a number of top-notch female winemakers, and toast all they’ve done for the juice we love so much. For your weekend reading, we have three articles that encompass literally the entire world of wine. 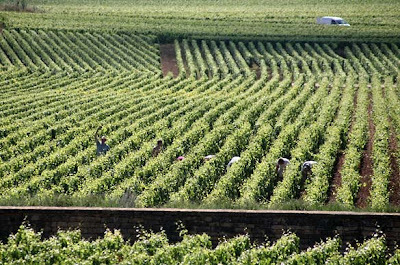 First, check out Decanter.com’s assessment of the 2009 red Burgundies. They’re head over heels in love with them, saying that, though “there's some variability...most 2009 reds are rich, expressive, aromatic and vibrant...They're lovely now yet have great aging potential too.” Click here for the full report. Then we have a fascinating piece in the Financial Times by Jancis Robinson, in which she profiles a young sommelier whose travels around the world neatly reflect the increasingly international nature of wine consumption. Great reading; click here. 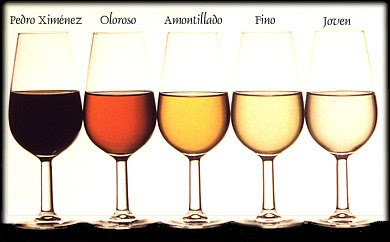 Finally, a piece in the Wall Street Journal about dessert wines, which still remains one of the most misunderstood categories around. It’s a handy little primer on when to order them, what to pair them with, and a nice overall guide to the options. All of these articles, of course, will pair best with a nice glass of wine. As always. It’s Valentine’s Day, which for many people means spending hours gazing lovingly into the eyes of their loved ones, “Unchained Melody” playing softly in the back of their head like some sort of cupid-y soundtrack, and uttering phrases more suited to Hallmark cards than real human conversation. But for me, it means Champagne. Don’t get me wrong here: I plan on sharing a bottle with my wife, and probably even rubbing a bit of it on my daughter’s lips--because, after all, Champagne is always meant to be shared with those you care about and love. (And, in my 10-week-old daughter’s case, it’s never too early to get her to appreciate good Champagne.) Personally, though, Valentine’s Day is a fantastic annual excuse to pop the cork on a bottle of bubbly and pair it with something special. 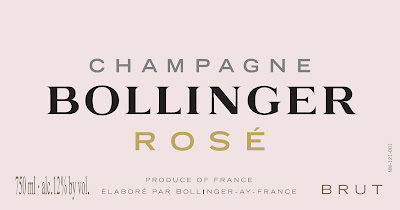 Tonight, then, I’ll be cooking up something with lobster and mushrooms, probably a risotto, and enjoying a bottle of Bollinger Brut Rosé, a consistently excellent wine that seems custom-made for this day. Laser-point bubbles, delicate lacing, and a beautiful burnished salmon color make this wine intensely appealing before you even take a sip. 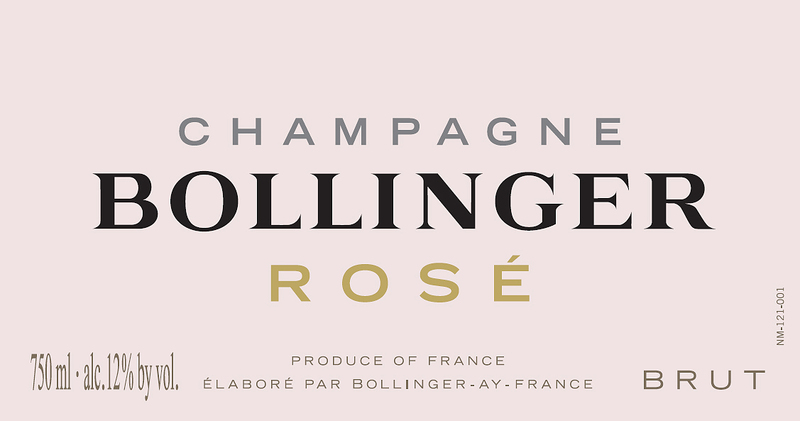 The first sniff from the glass is enough to remind you both why Bollinger is among the most revered of the top houses, as well as the intrinsic and multi-faceted benefits of rosé Champagne in general. It speaks of some sort of perfect bakery first thing in the morning, just as the strawberry-filled pastries are coming out of the oven. There are candied cherries in there too, as well as a bass-note of pie crust. These are supremely evocative; you just want to keep smelling them. When you do finally take a sip, the house-typical creaminess is cut by beautifully balanced acidity, tiny farmers’ market strawberries, and cherries. It manages to be both bright and deep at the same time, eliciting notes of minerals, lead pencil, and subtle fruit, though the fruit of the palate is less sweet and pronounced than the overall impression of the nose--a very appealing bookend. Drinking this well, and sharing it with the two ladies of the house on our first Valentine’s Day as a family? What a perfect way to celebrate the holiday. Your homework for this weekend is a threefold assignment. Number one, take a look at Jancis Robinson’s new column in the Financial Times, liked up here. She covers the ever-exciting new wave of wines coming out of Portugal, and her enthusiasm is buttressed, as always, with a healthy dose of experience and tasting. From the great Portuguese grape variety touriga nacional to less familiar but equally impressive ones like trincadeira, touriga franca, and arinto, among many others, her outlook--and, for what it’s worth, mine too--is as sunny as Southern Portugal in the summertime. 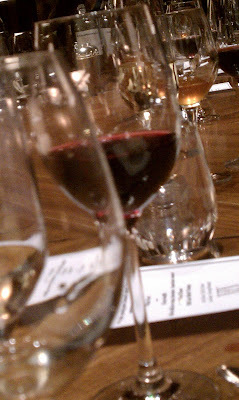 Part two of your assignment--and this is the fun part--is to pop the cork on a bottle of Portuguese wine (dry or Port) that you haven’t tasted before: In my experience, the quality-to-price ratio of Portuguese wine is among the best in the world these days. Finally--and this is a longer, more technical reading assignment--look at the article in the new issue of Sommelier Journal about how technology is affecting and aiding our ability to understand the nature of a particular vineyard’s terroir. It gets a bit detailed, but the point is crystal-clear: Technology, when employed correctly and with respect, can help make wines of terroir more expediently than without these techniques. It’s a wonderful case of unexpected synergy between the ancient and the thoroughly modern. What better way to celebrate the end of the week than with Champagne and a nice glass of Port? Or, even better, several glasses of each, which is exactly what I did last night at a fantastic dinner hosted by Jade Floyd and Jessie Niewold of the Center for Wine Origins, and Scott Zoccolillo of XIX, one of Philadelphia’s top restaurants. This was not just a great chance for some local wine professionals to get together, but it also marked the beginning of my tenure as the new Philadelphia ambassador for Champagne and Port for the Center for Wine Origins. 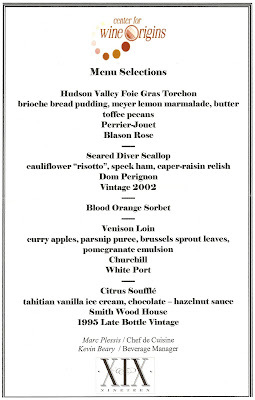 The menu, below, was excellent in its own right and helped to showcase the wines beautifully. From the Perrier-Jouët Fleur de Champagne 2002 that kicked off the evening, through to the Blason Rosé and the Dom Perignon 2002, and all the way to the Ports (the last one was a 1999 LBV, not a 1995 as it appears on the menu--and it was utterly delicious), this was the kind of night--and these were the kind of wines--that we definitely didn’t want to end. 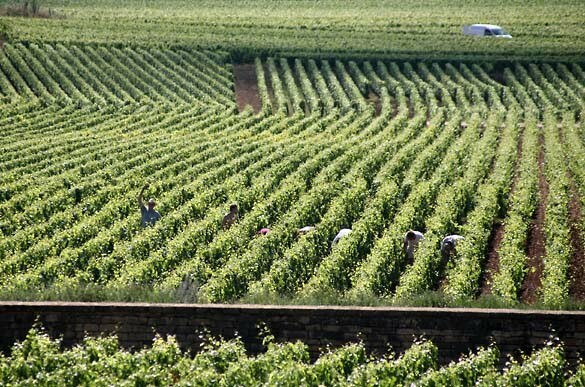 With that in mind, check out this story, posted on Decanter.com today, about a very, very good problem that LVMH is facing: People have been buying too much of their Champagne and they’re now running short. I guess when you’re crafting a good product, people will buy it, no matter how much they’re cutting back! The sweet fruit jumps from the glass here, though it’s impeccably balanced out by a beam of minerality. There’s fresh and sweetened dried pineapple, as well as red and green apple and a touch of white summer flowers. On the palate, its zippy acidity is rounded out by a texture that’s surprisingly creamy, and shows hints of early-season peach and straw. Love the minerality here, as well as the fruit that's less lush and more high-strung than expected. 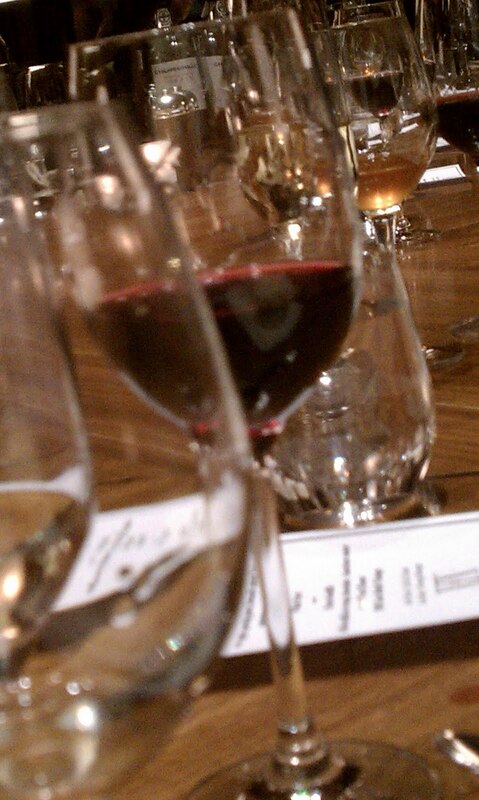 Classic food wine, with elegance to spare. Nicely lifted aromas of peach, orange, and orange blossom float up from the glass, and though this is a dry riesling, there is a lovely sense of sweetness to these aromas. That perfume comes through to the palate, and is buttressed by a bright acidity that lends it a real sense of definition. There’s a density to this wine, a weight that I wasn’t expecting, and it renders it a fabulous riesling to sip alone as well as at the table with both lighter and richer white meats and fish. Excellent. Rather a dark shade for a pinot noir, but I’ve come to not be surprised when I see this from Sonoma. On the nose, it’s pure New World pinot: Effusive cherries, ripe cranberries, vanilla, and a touch of bacon fat that follows to a palate with flashes of cola and caramel sparking up between the velvety cherries. 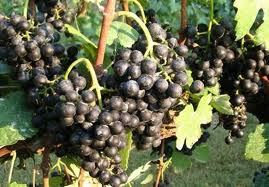 A hint of earth comes out on the finish, but this is generally a fruit-driven wine, sweet-souled and attractive. Notable purple, glass-staining color leads to a nose of marked freshness--everything from green cigar tobacco to grilled romaine is here, with very expressive red-berry fruit and strawberry cream popping out. On the palate, it’s the linearity of the structure that you first notice, a minerality to the spice notes that underlie the red and black raspberry and touch of blueberry fruit. There are also violets and cedar bouncing around in there too, and all of this comes off as balanced and thoroughly enjoyable. Drink now or hold for a couple of years. Great value. Very appealing sweet, smoky fruit on the nose, with lots of crushed blackberries, a bit of blueberry cobbler filling, and a chocolate lacing around it all. Remarkably fresh and fruit-forward for a six-year-old wine. On the palate, that fruit--still sweet and lush--is backed up by pencil lead, cedar, and, on the finish, more of that grilled character edging into warm sage. What a lovely wine, soft and elegant and drinking beautifully right now. Utterly irresistible. This makes me happy, especially at this price. There are some weeks when the stars align and I have a chance to taste some remarkable wines alongside great meals in addition to my more formal daily tasting. These past seven days, between Vino 2011 and a number of other lunches and dinners I was fortunate enough to attend, have been filled with an astounding range of standout wines. 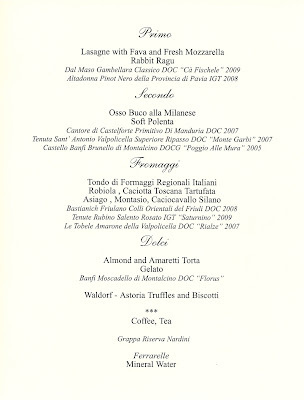 Last Tuesday night, the Sponsors’ Dinner on the Starlight Roof at the Waldorf=Astoria for Italian Wine Week featured nine wines brilliantly paired with a great menu that incorporated specialties from Lombardia, Apulia, Friuli Venezia Giulia, Toscana, and Veneto. 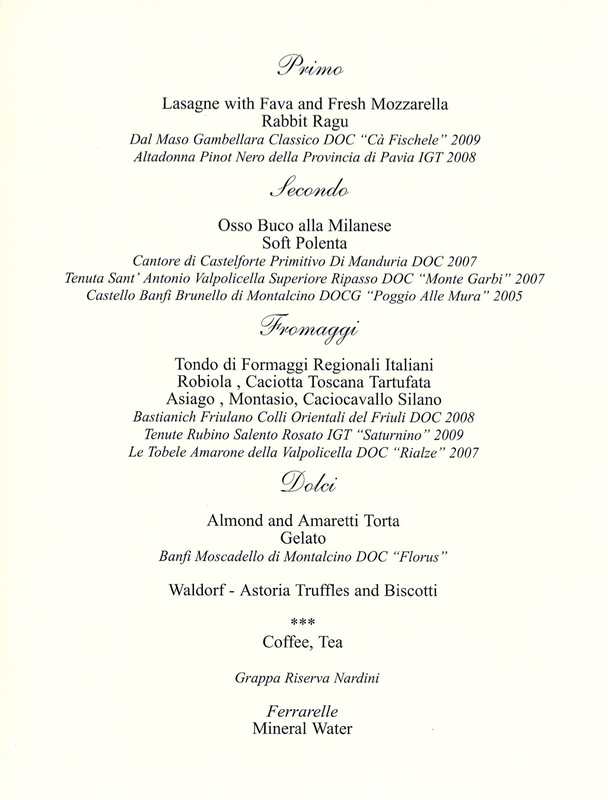 The Castello Banfi Brunello di Montalcino “Poggio alle Mura” 2005 was a truffly, leather-kissed beauty with well more than a decade of life left. The next night, at the wonderful Enoteca di Palo, I was treated to a tasting of wines from the excellent Cantina Bergamasca in Lombardy. Their Valcalepio Rosso Riserva “Akros” 2005, a 50/50 blend of merlot and cabernet sauvignon, showed dark smoky raspberries on the nose and incorporated mushrooms, leather, and spice on the palate. Sipped next to the broad range of hams and cheeses and other specialties that Lou di Palo had set out, and after the Cantina’s bright, rich pinot bianco, it brought to an end a great day of tasting. More to follow on this producer. Earlier that afternoon, I attended a lunch featuring the legendary Sonoma producer Flowers at Lure Fish Bar in SoHo. The Flowers Andreen Gale Chardonnay 2007 spoke of hazelnuts and spice and a hint of licorice and, with its creamy mouthfeel livened up with such excellent acid, found a perfect textural balance between Chassagne- and Puligny-Montrachet. I’ll have full tasting notes in an upcoming post on the other wines as well: The Camp Meeting Ridge Chardonnay 2007, Andreen Gale Pinot Noir 2007, Francis Thompson Pinot Noir 2007, Seaview Pinot Noir 2007, and the Perennial 2008. What a remarkable line-up. Then on Thursday, the Wine Media Guild held its annual Bordeaux tasting and lunch at New York’s Felidia, this time featuring standout Right Bank producers Château Angelus, Château Figeac, and Château La Conseillante. 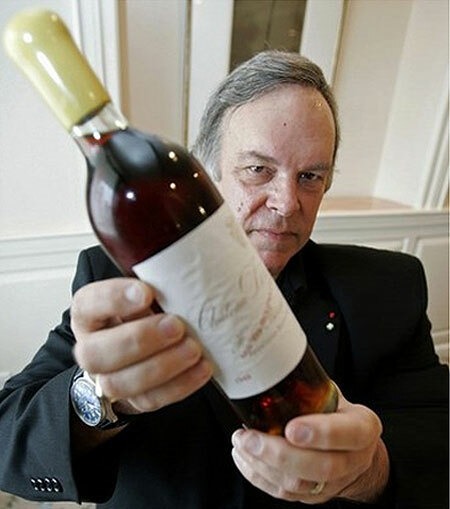 This was the day after the last major snowstorm paralyzed the northeast, but Château Angelus’s Jean-Bernard Grenié managed to make it in--kudos to him for doing so.